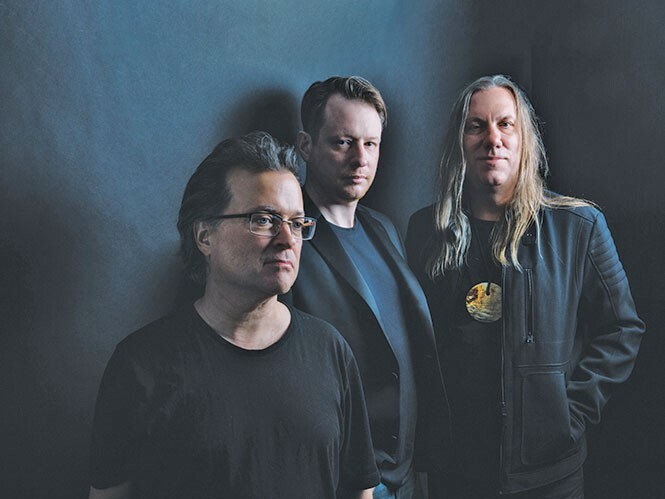 Monday, May 2, 8 p.m.
For the Violent Femmes, there has to be a certain frustration that comes with the fact the first song on their first album remains the one tune most people associate with the band. Don't get me wrong. There's good reason the first notes of "Blister in the Sun" are still enough to fill the dance floor at house parties of music fans of a certain age (ahem), and that cover bands include the song in their sets for everything from frat-house ragers to weddings more than three decades after it arrived on the band's 1983 debut. The song has the loud-soft-loud dynamic later worked to death by the Pixies and Nirvana, but in the Femmes' hands, it's delivered via acoustic instruments and singer Gordon Gano's laconic vocal stylings that veer from smirk-filled yelps to spoken-word recitations/raps to conspiratorial whispers. The song introduced a vibrant new band to the '80s college-rock scene that would eventually grow into the commercial "alternative" genre you can still hear on several stations in Salt Lake City. (Go ahead and turn one on right now—you might hear "Blister" between Depeche Mode and The Offspring tunes.) Their sound was rooted in acoustic instrumentation and jokey (sometimes too jokey) lyrics delivered by Gano, bass man Brian Ritchie and original drummer Victor DeLorenzo—a trio originally discovered, as the story goes, busking outside a Pretenders show in Milwaukee, with Chrissie Hynde tapping them to do a quick opening set that night. The Violent Femmes' sound proved so utterly distinct on their first album and those that followed—even as they incorporated an expanded, horn-laden live lineup (all hail the Horns of Dilemma!) or dabbled with synthesizers on albums like The Blind Leading the Naked—that they became one of those bands that are impossible to copy. Everyone from Led Zeppelin to Nirvana, Tupac to Tool has seen a slew of wannabe sound-alikes follow in their path, trying to steal a little of the original artists' success. The Violent Femmes' sound is so original (some would say weird) that they're pretty much incapable of being ripped off—at least musically speaking. "Blister in the Sun" pushed their self-titled debut to platinum sales (a mere eight years after its release) and became a cultural touchstone used in movies like Grosse Pointe Blank and TV shows like My So-Called Life and, more recently, Netflix's Love. It also led to the most dramatic schism in the band when Gano licensed the song for a Wendy's commercial in 2007, apparently without telling Ritchie. Lawsuits, breakups and the seeming demise of the band ensued. Of course, there's nothing like big money to heal old wounds. When Coachella made the band a too-good-to-refuse offer to reunite at the SoCal festival in 2013, they accepted. That gig led to the ongoing reunion (albeit one with a rotating cast in the drummer's seat currently filled by John Sparrow) that resulted in the new album We Can Do Anything (PIAS America). Although it's the Femmes' first full-length in 16 years, it recalls the raucous, raw songs on the band's debut and its killer follow-up, 1984's Hallowed Ground. Like most of the band's albums, We Can Do Anything features a few immediately appealing songs that seem destined to become staples of the Femmes' live shows ("Holy Ghost," "Foothills," "Memory") and some tunes that fall short. But it is further proof of what the rabid Violent Femmes fans have known for years: The band is far more than "Blister in the Sun." Many of those rabid fans are Utahns, who gobble up the quirky pop-rock ear candy delivered by bands like They Might Be Giants, King Missile, Soul Coughing, Eels and the like. The Violent Femmes' combo of off-kilter instrumentation (horns! xylophones!) and laugh-laced lyrics hits Utah in the sweet spot of a few different audiences: the band geeks intrigued by the band's musicianship; the rebels who embrace everything "alternative" (if a multi-platinum band can be considered alternative), and, now, the middle-aged fans who aim to recapture a youthful memory of past Femmes gigs at the Utah State Fairpark or Kingsbury Hall. That's why the Violent Femmes fed Utahns a steady diet of shows through the years, and local radio stations continue to play songs beyond "Blister in the Sun," like "American Music," "Kiss Off," "Nightmares" and their cover of Culture Club's "Do You Really Want to Hurt Me?" In fact, you could fill out a pretty awesome set-list of Femmes songs without even touching "Blister in the Sun." But that would be madness. The band isn't that weird.